This books are only free for a limited time. I have no control over how long they are free for, so please check the price before purchasing. Click the picture to get the book. This new series by Surrey Books launches with an everything-you-need-to-know guide to using the slow cooker, and features 101 delicious, diverse, and recipes, all of which have been thoroughly kitchen-tested to ensure you have success every time you make one. 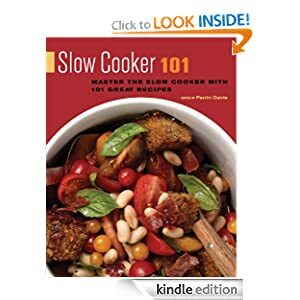 Featuring a detailed introduction that covers the basics of slow-cooking and discusses helpful how-to’s, insider tips, and keys to best results, this book–and all the books in the 101 series–features a simple, contemporary-looking design that’s as clear-cut as it is elegant, with measures calculated using both traditional and metric quantities. Scattered throughout are beautiful full-color photographs that accentuate the book’s visual appeal. This is a practical, hands-on kitchen resource that will also look great on the shelf–and because its flex-binding is sewn, it’s supremely easy to keep open and flat on your kitchen counter while you’re cooking from it. …for a new start in Paris. Aaron’s mistakes in Vegas make him question everything he knows about Michelle, and the prospect of a long, lonely future with her. Struggling with his predatory alter ego, Aaron chafes under Michelle’s rules. His animalistic desires drive him to take a lover without conditions – a bloodslave – but Michelle refuses. Michelle is not blind to Aaron’s needs. She answers his demands by opening her heart and soul to him. Their minds intertwine and Aaron relives her dark, gritty tale of survival in the ravages of war-torn Paris under the German occupation. Her disturbing revelations are met with shock, pushing Aaron even further from her. For the first time, Michelle begins to reconsider the way she has lived all these decades. And they are not alone in Paris. An investigator has shadowed them from Vegas, seeking the unique gifts of Michelle’s blood. 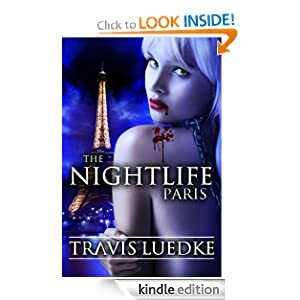 He hunts the vampires, attacking them at their most vulnerable time. Michelle and Aaron face death and worse – separation. Aaron and Michelle’s wicked, pulse-pounding tale drags readers breathless through one cataclysmic event after another. 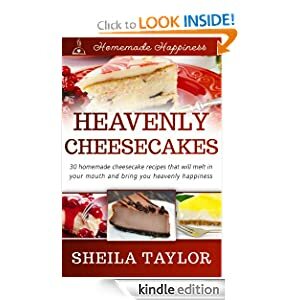 Heavenly Cheesecakes includes 30 different recipes of incredible, delicious cheesecakes that I have personally made, tasted, and perfected.